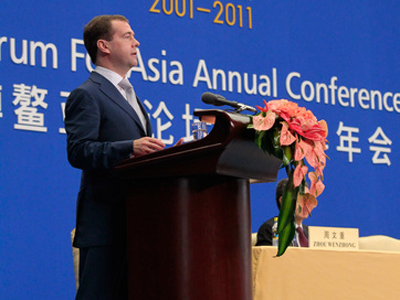 There is a need for the democratization of international relations, believes President Dmitry Medvedev, which could be achieved through the reform of the world financial system. ­He made the statement while addressing the Asian economic forum in Boao. 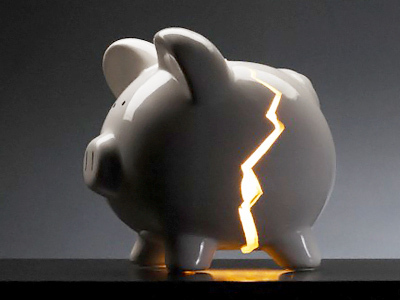 “The necessity of democratization of international relations and the creation of a fair political and economic global order requires reform of the global financial system,” he said. He stressed that opportunities and benefits of the modern world should be available for all and that is the key aspect of the inclusive development concept, which is the main discussion topic at the two-day forum. The Russian president said certain progress has been achieved in this direction, to a large extent thanks to the activities of the G20. 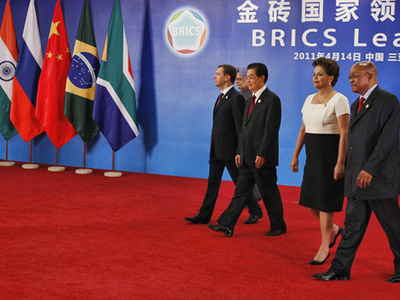 He reiterated the statement he made the day before during the BRICS summit in the Chinese city of Sanya. 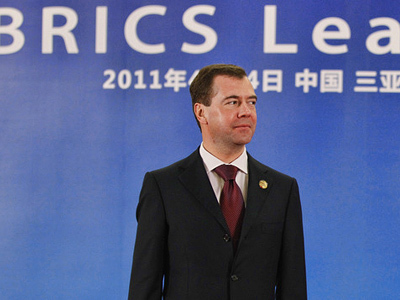 On Thursday, Medvedev announced that the BRICS (Brazil, Russia, India, China and South Africa) have agreed to prepare a package of concrete proposals for the reform of the international financial system and its key institutions, the International Monetary Fund and the World Bank. 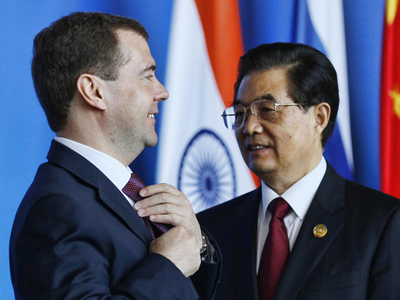 Medvedev pointed out that in the Asia-Pacific region powerful integration processes are now underway. “This development should be comprehensive, include all countries rather than creating new division lines, and contribute to the leveling of economies,” the Russian president outlined, specifically noting the significance of the region for Russia. “There is no alternative for strengthening partnership relations with the countries in the region and active participation in multilateral regional unions,” Medvedev added. The Asian Boao forum on China’s Hainan Island, also dubbed as the Asian Davos, marks its tenth anniversary this year. Its participants, from 26 countries of the Asia-Pacific region, include prominent politicians, large commercial and non-government organizations.